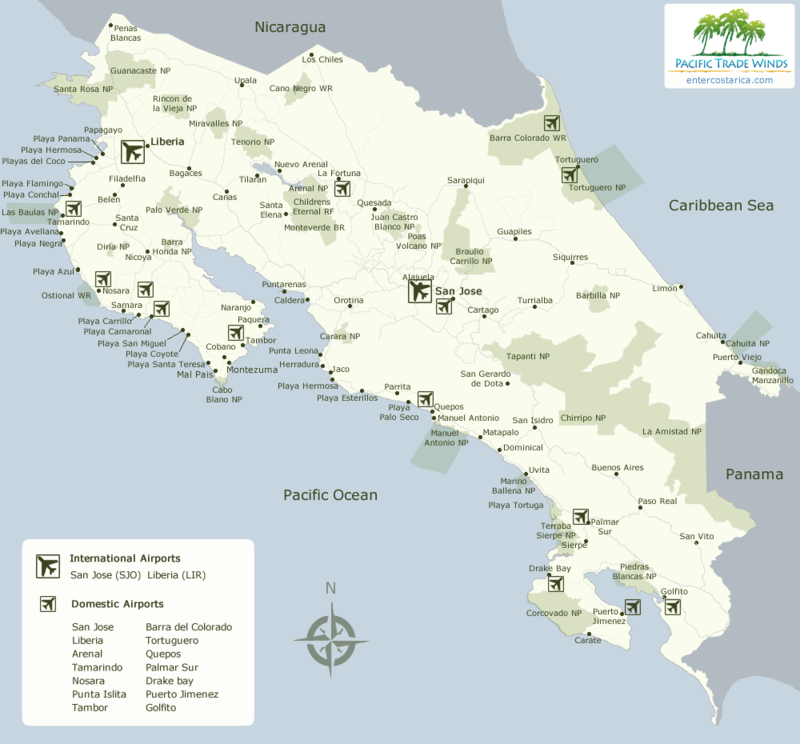 Costa Rica is home to two international airports, San Jose and Liberia. Both airports accept flights from the United States and Canada daily. San Jose International Airport (SJO), also known as Juan Santamaria International Airport is located in Alajuela. Alajuela is 17 km northwest of San Jose. The GPS coordinates for San Jose International Airport are: 9.998469, -84.204403. Liberia International Airport (LIR), also known as Daniel Oduber International Airport is located 10 km southwest of the city of Liberia. The GPS coordinates for Liberia International Airport are: 10.599824, -85.537941. There are also 14 domestic airports/air strips which you can see on this map of Costa Rica airports.